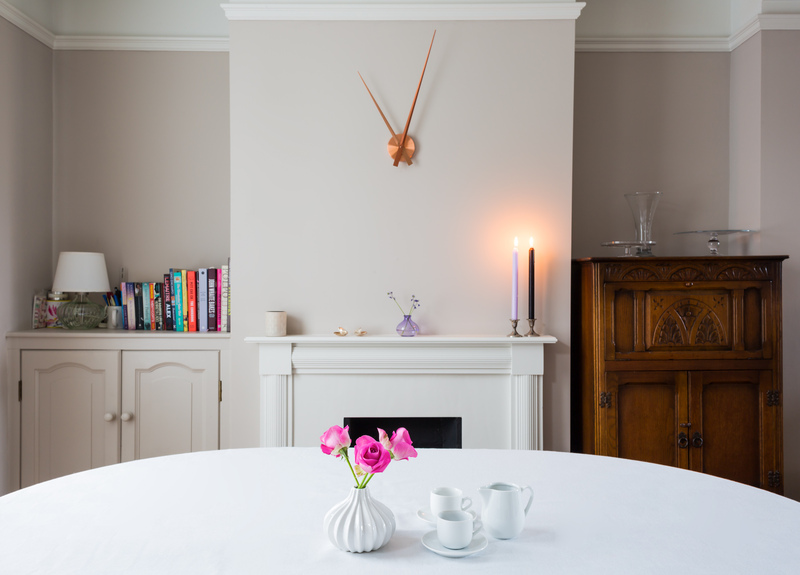 Soft greys and whites create a calm and elegant dining room. New oak flooring was installed and these Ikea chairs give a slightly Scandinavian feel. An antique industrial pendant light creates a contrast with the soft white curtains. The fireplace surround and alcove cupboard were an unattractive orange pine. Rather than replace them, they were painted to match the woodwork and walls. The antique Arts and Crafts drinks cabinet was sourced from eBay and fits perfectly in the opposite alcove. 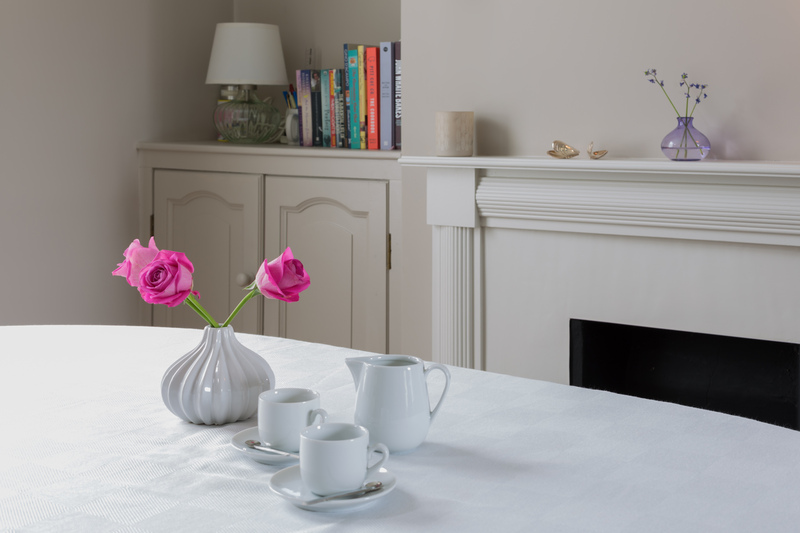 The dark wood looks fantastic against the pale colours in the rest of the room making it a real feature. Lamps offer alternative ambient lighting for different levels of lighting – perfect for entertaining! This beautiful dining room features a mixture of old and new with the contemporary accessories and chairs contrasting with the antique pendant light and Arts and Crafts drinks cabinet. The result is a simple yet stylish space that’s perfect for family breakfast and evening entertaining.